The tendency of adding the page flip effect is gathering stream. As for food-and-drink industry, the idea is still new, but really promising. What can be more impressive for a restaurant website than an interactive page flipping menu? Seriously, as for us, there is a niche that flip books work really great. The restaurant menu performed in the form of a Flash flipping book is not a very eye-catchy element only, but also a great way of presenting the variety of dishes to potential visitors. Today we would like to show you some great food-and-drink industry Flash websites with page flipping effect. We are sure you will find the plenty of unusual solutions and inspiring ideas while browsing them! 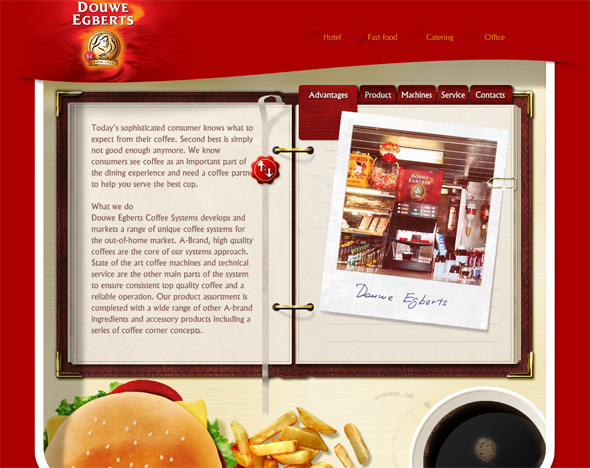 A colorful Flash website of the company that sells coffee machines for restaurants, hotels, etc. You can navigate the website by means of the menu on the top of the page. For each website categorythere is a separate section in the form of a book. You can flip the pages via the section menu. 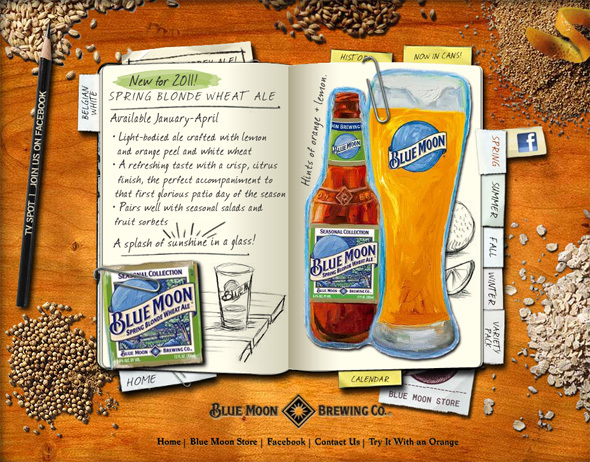 This website was created for online presentation of a brewing company “Blue Moon”. The web designer used attractive textures for the background as well as many other unusual creative elements. The flip book itself imitates a copy book written by hand. 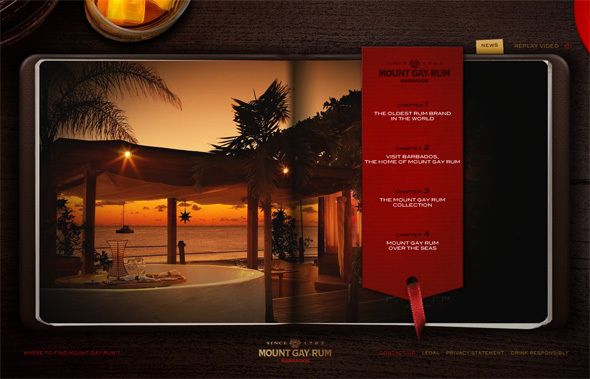 A stylish Flash presentation of Mount Gay Rum , the oldest rum brand. The concept of the website is really great; you will find many stylish elements and unusual design approaches there. The presentation itself is a digital book that can be viewed either by clicking on the page’s corner or by dragging it with a mouse. A stylish music and video presentation adds more charm to the website. A simple but functional Flash page flip website of a Georgian restaurant. 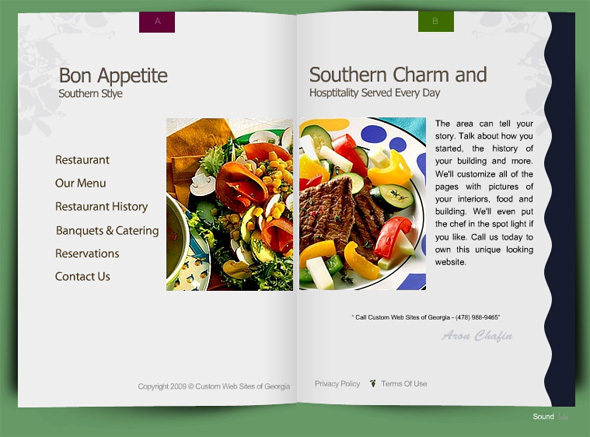 The interactive website menu is placed inside the flip book. You can browse the book sections either via the menu or clicking on the page’s corner, as usual. 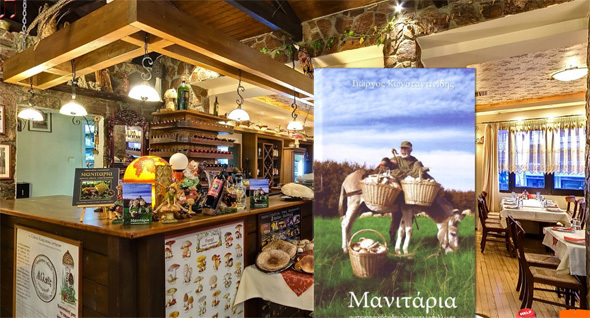 A gorgeous Flash website of the best mushroom restaurant in Greece. The effects of the website are really impressive: panorama view, great background, stylish appropriate music and lots of flying elements. You can find a flip book on the bar: click on it, and it will fly to you closer. Browse more Flash Flip Book Websites and choose one for your own Flash page flip project.